We know how hard it is to find the right “full-package” partner for life. and we will get in touch with you shortly. 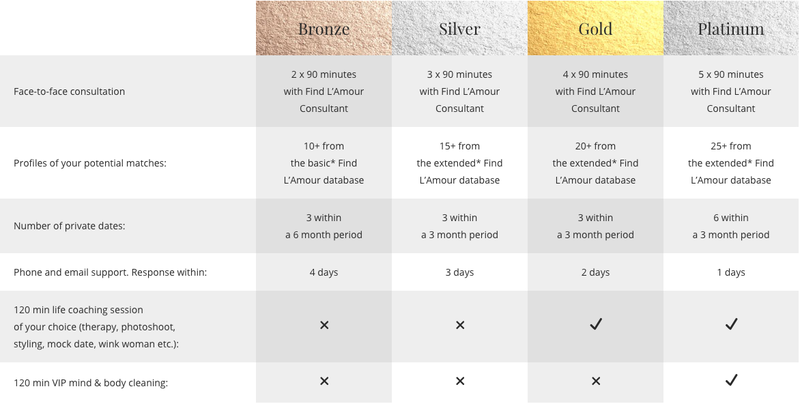 * Basic database is the database of all currently paying clients of Find L’Amour. ** Extended database includes non-paying clients of Find L’Amour. Access to the extended database gives you wider choices of potential partners. please contact the founder Katarina Nemcova at katka@findlamour.com for more details.